The NDPC Peace & Justice team meets on the second Sunday of each month. 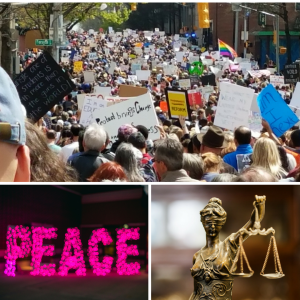 Learn more about how you can support our work advocating for justice by emailing [email protected]. Call to Action: Click on the link above to read the strategies for each P & J issue. Select an area that you have an interest in, volunteer to serve or get educated about and share with NDPC members. Presbyterians for a Better Georgia is an organization of several churches within the Presbytery of Greater Atlanta which seeks to support public policy serving “…the least of these” (Matthew 25: 40). Specific state legislation focuses are common sense laws to ensure the health and safety of our youth, provide healthcare for Georgians and care for the indigent, and reduce gun violence. 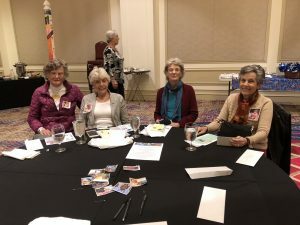 It is our privilege to work in coordination with Elizabeth Appley who represents PBG to communicate our concerns to the Georgia Legislature. Each quarter, the NDPC Peace & Justice Committee shines a light on a single important public policy issue. Our goals include raising awareness, lifting prayers, and offering action opportunities through partner organizations. 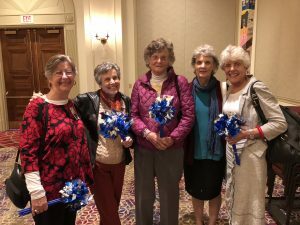 Anne Topple, Kent Leslie, Carol Tveit, and Bobbie Wrenn Banksrepresented NDPC at the annual Interfaith Children’s Movement (ICM) Breakfast on October 24th at The Temple. 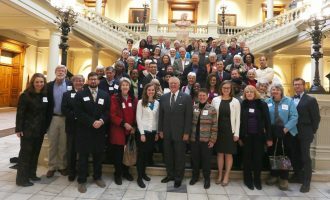 ICM is a grassroots, interfaith advocacy movement dedicated to improving the well-being of all children in Georgia. 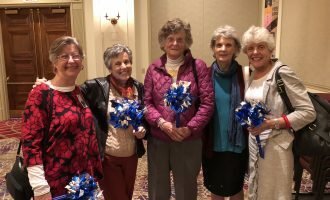 Jane Royall (far left), member of Oakhurst Presbyterian Church and ICM activist, encouraged our congregation’s participation and joined us at the event. The NDPC Peace & Justice Committee supports ICM through its budget. ~ Submitted by Bobbie Wrenn Banks. 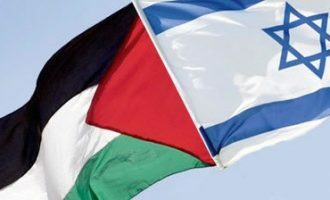 In partnership with the Presbytery of Greater Atlanta, we seek to bring an end to the occupation and exploitation of the Holy Land by applying Christ’s teachings through prayer, advocacy, and education.